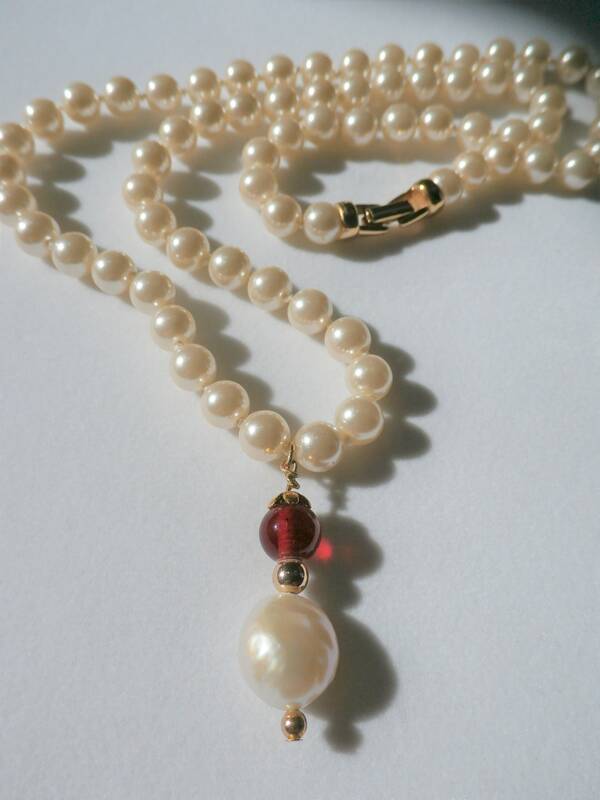 Pearl Necklace,Silky Hand knot 8mm faux pearls,15mm Natural Pearl,10mm Ruby Glass bead,14K gold plated beads, cap, wire,ring,snap closure. 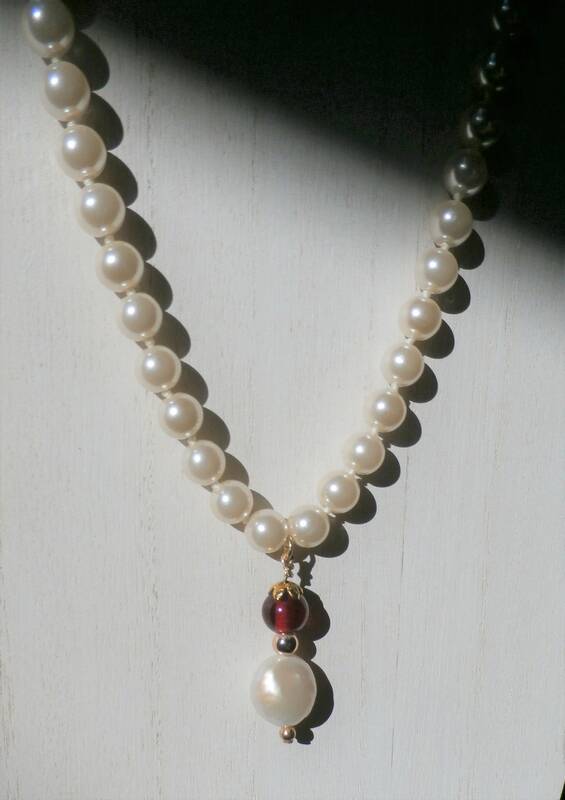 Pearl Necklace,Silky Hand knotted faux pearls,Large Natural Pearl Drop, Glowing Ruby Red Glass bead,14K gold plated beads, cap, wire,ring,snap closure. 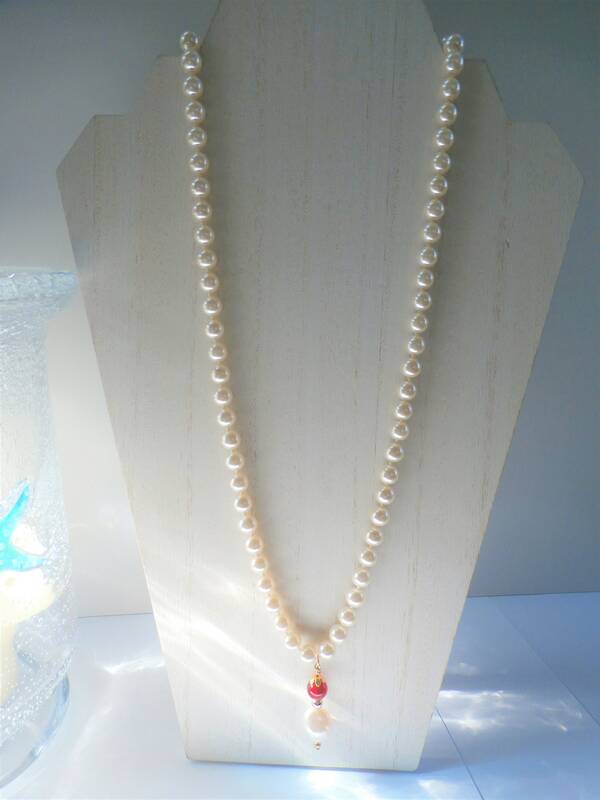 I sourced this string of 70 pearls, very silky, high quality beads, knotted every bead. 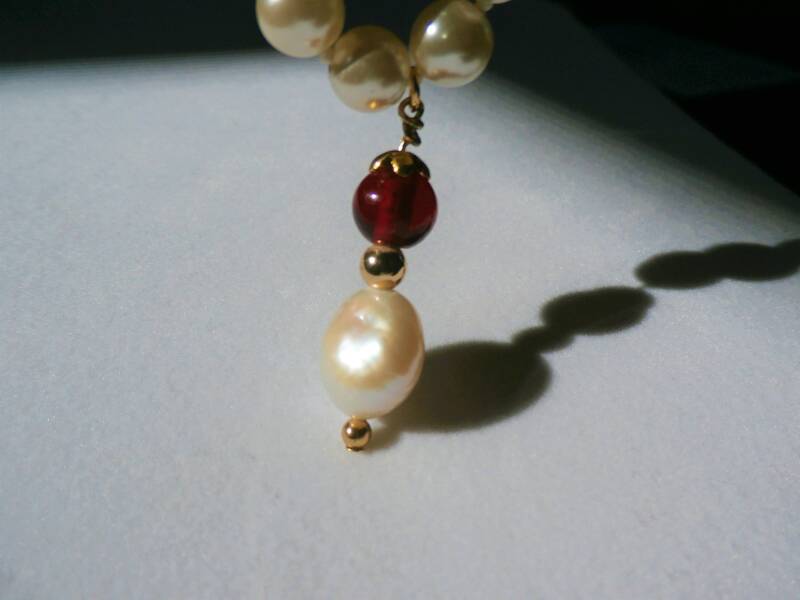 Fluid in the hand. 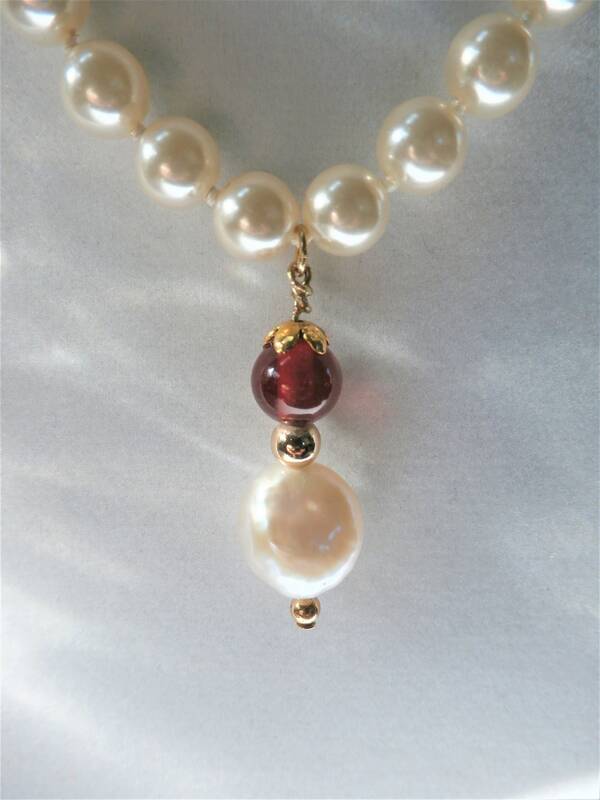 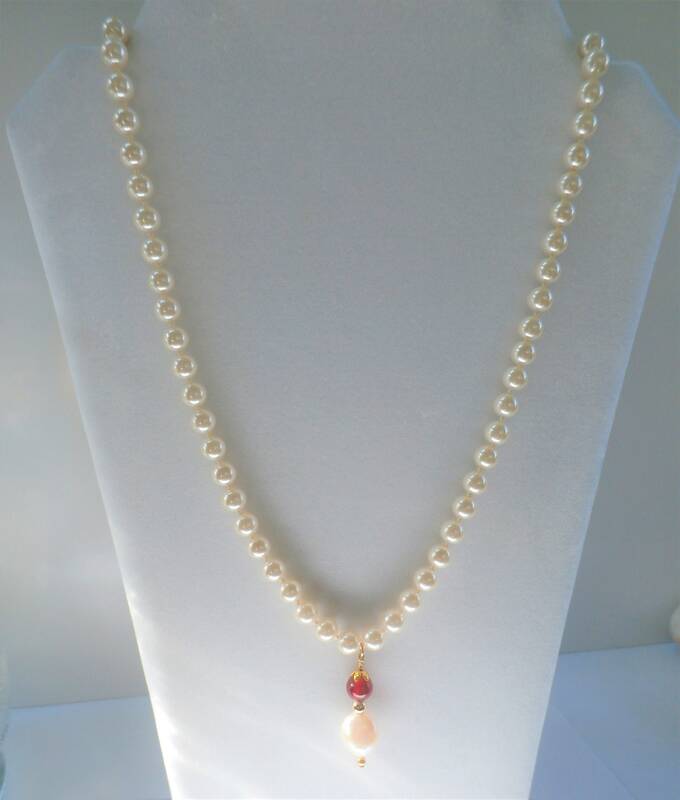 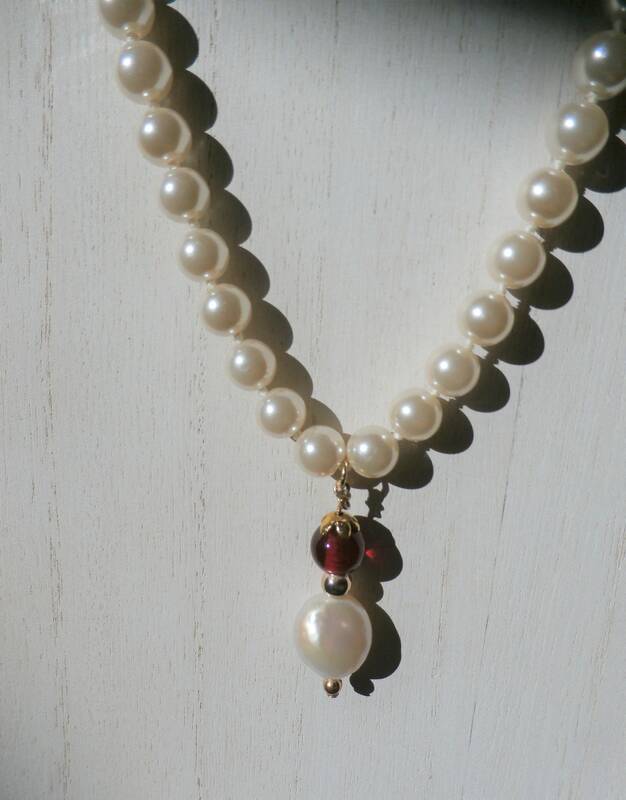 The pendant is a hand gold wired beautiful 10mm ruby colored glass bead, gorgeous Genuine 15mm natural White pearl. 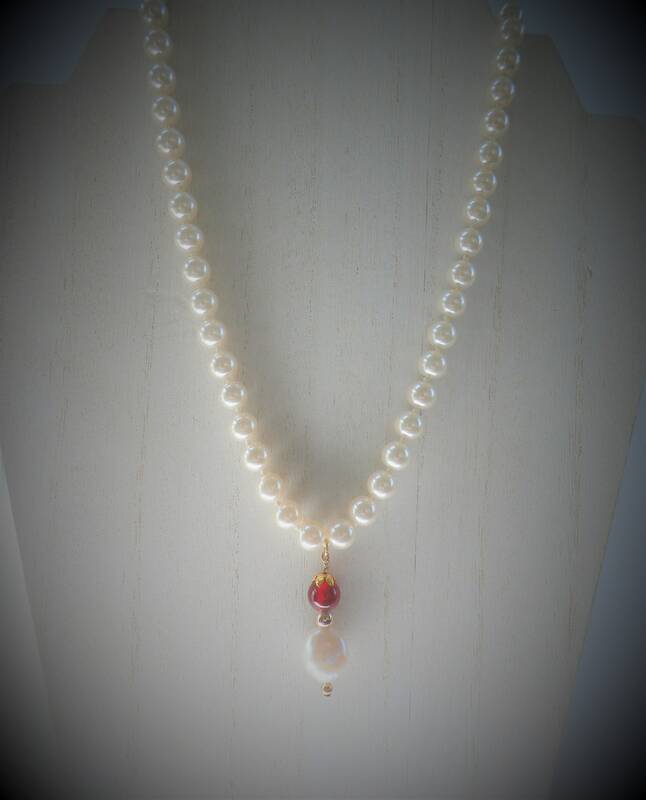 Lovely longer strand, with a pendant in the right place. 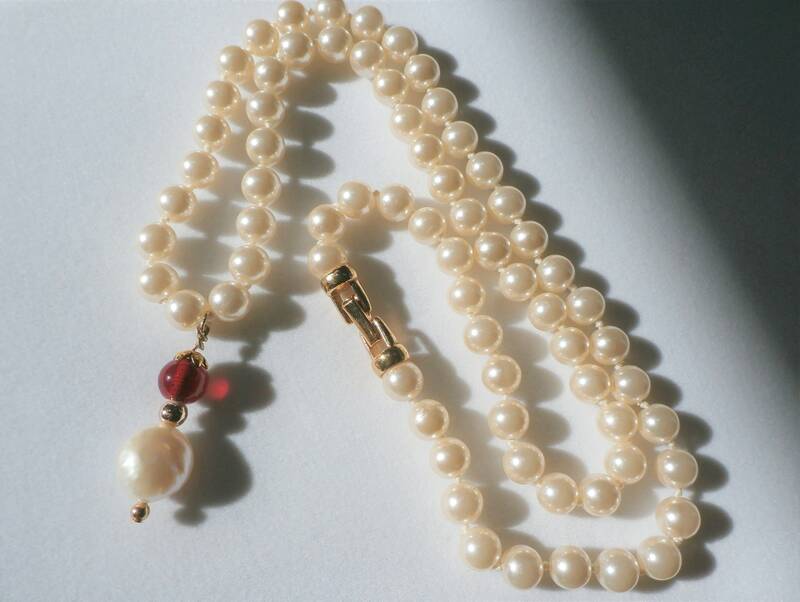 Your "go to" strand of pearls, with finesse.